A memoir from veteran chef and restaurateur Alice Waters, taking the reader from Waters’ childhood in suburban New Jersey to her travels in Europe, to her time in Berkeley, culminating with the opening night of Chez Panisse in 1971. Coming to My Senses is extremely easy to digest, even for non-foodies, largely because Waters views her eventful life with a touch of wonderment that is at once wide-eyed and slyly observant. This book is nicely peppered with telling details, wry and often self-deprecating quips, perceptive character sketches of family, friends, mentors, and even an occasional recipe ... Waters comes across as intelligent, creative, intuitive, exacting, brave and, always, learning ... Waters’ story from birth to the opening days of Chez Panisse is presented in roughly chronological order. But peppered throughout are anecdotes and observations that move freely through time and space. These passages are often in italics, and I learned to anticipate them because they were always much fun to read and often delightfully dishy. Waters’ memoir, as touching as it sometimes is, can be a little helter-skelter: There are italicized inserts that shoulder into the narrative, supplying details of a person’s biography or offering foreshadowing or philosophical asides. And there are plenty of famous names dropped, unavoidably, as Waters’ friends are connected to an impressive array of filmmakers, more experienced chefs, artists and writers. These diary-like passages, and Waters’ almost stream-of-consciousness remarks on the importance of mood, music, visual arts and flowers on the dining experience, come to a head with the hilariously chaotic opening of Chez Panisse in 1971. If the way to counterculture’s heart is through its stomach, Chez Panisse is the start. Cook, activist and earth mother, Waters is many things. But, based on her pallid memoir, Coming to My Senses: The Making of a Counterculture Cook, a writer is not one of them ... When an author warns in the third paragraph 'I’m not a reflective person by nature,' grab your blankie — you’re in for a soporific ride ... Casual elegance, what she perfected at her restaurant, is missing in prose heavy on hollow bromides and wincing cliches. Berkeley was filled with coffee shops and 'people in heated conversation.' In the 1960s, students had 'a beatnik urban sophistication, carrying big book bags, very somber and intense.' She manages to make a hash-infused trip to Turkey with two Frenchmen seem tedious. Alternately insulting and twee, Senses dulls the reader ... Senses is sloppy, too. It lacks an alert editor or writer (or two) — it regurgitates information and reintroduces walk-on characters brought in only pages earlier. Waters appears to list everyone she has ever met. Is this interesting? No, it is not. 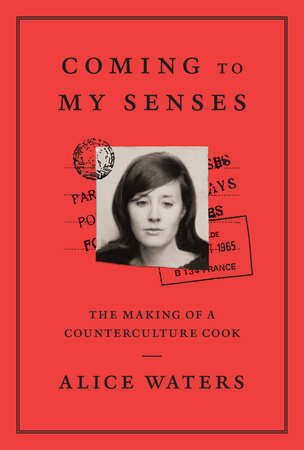 What did you think of Coming to My Senses: The Making of a Counterculture Cook?